AssayPro is dedicated to providing high quality immunological assay kits to the researchers in both academia and pharmaceutical/biotech industry. Our product lines include AssayMax ELISA kits, AssaySense activity assay kits, antibodies, and other related reagents. We support customers with not only competitively priced assay kits and reagents, but also customized products to meet your specific needs. Our highly motivated, well educated, and experienced scientists are eager to serve you for your success. 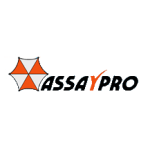 Please visit our website at www.assaypro.com for product information. New products not appeared in the catalog will be updated in the website.